Ian Gorgenson played football and graduated from Lansing Catholic High School. As he began searching for colleges, he was attracted to Hope’s football program. 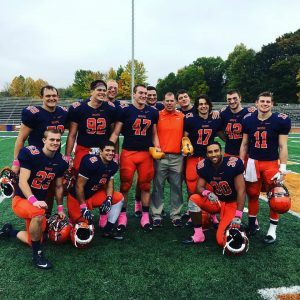 After attending a tour and meeting the coaches, Ian knew Hope College was the place for him. However, as distinguished as Hope’s athletics are, they were not the deciding factor. His decision to attend Hope College as a student-athlete was deeply influenced by the people themselves. Subsequent to his first game freshman year, Ian has continued to start every Hope football game as a defensive linemen. He has proven his relentless talent repeatedly on the field. 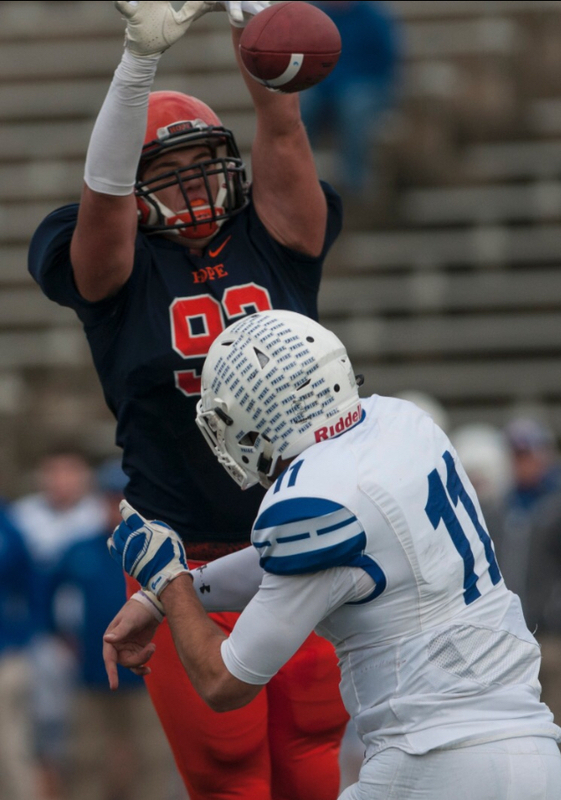 Ian’s first college career quarterback sack occurred in the first conference game of his freshman season. Now as a junior, he has steadily progressed in strength and explosiveness. His current statistics stand at 9.5 tackles for loss, and 5.5 quarterback sacks. Ian’s fascination in exploring how the Earth works drew him to declare a geology major and environmental science minor. He has participated in 10 weeks of research under Dr. Edward Hansen, and is an avid participator in the Geology Club. 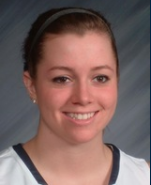 Ian’s athletic goals include becoming an All-American player and Conference Champion. His career objectives include working in environmental consulting or working directly with an oil company. 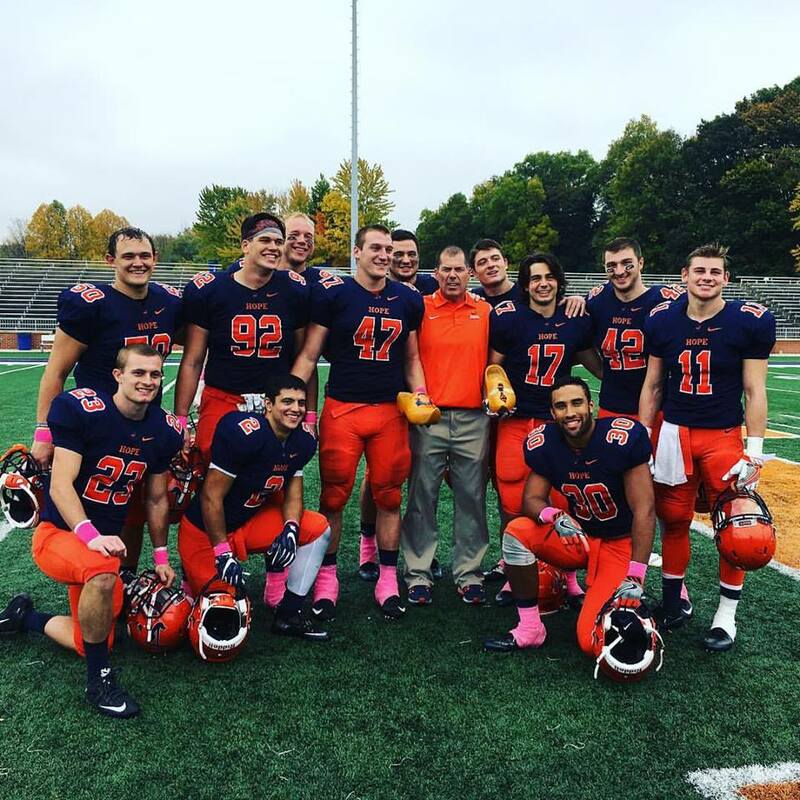 Your Orange and Blue Fund gifts support Ian and student-athletes just like him. 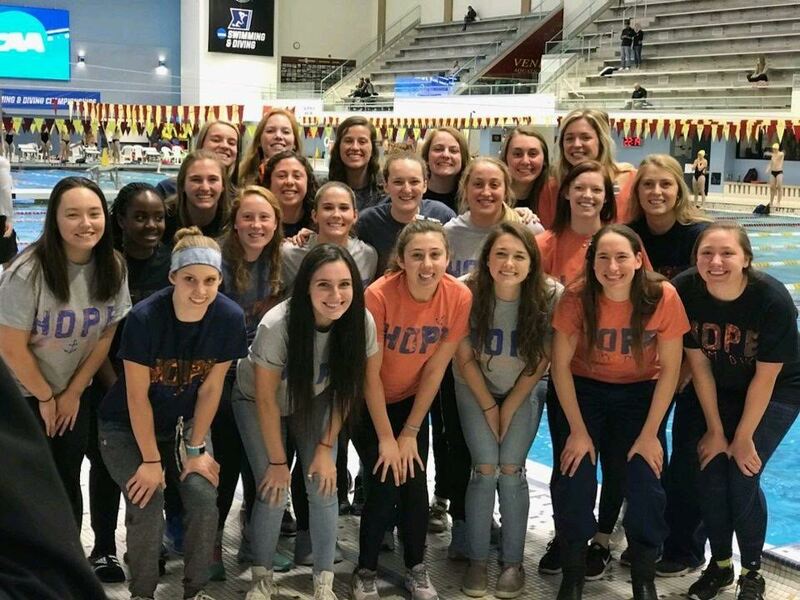 Gifts to the Orange and Blue Fund go directly to support student-athlete scholarships and make it possible for many deserving student-athletes to attend Hope College and compete in athletics. You make an immediate and life-shaping impact for students when you join the community of Orange and Blue Fund donors. Your gifts create passion and bolster commitment to help student athletes grow spiritually, academically, and athletically. 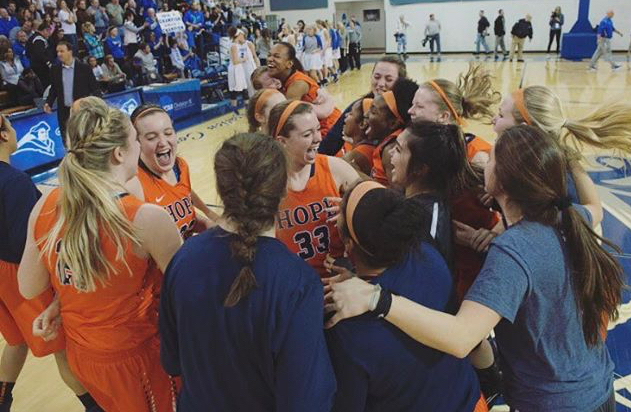 Investing in Ian and all Hope student-athletes provides them with an unsurpassed educational and athletic experience at Hope College. Your faithful giving makes a difference. 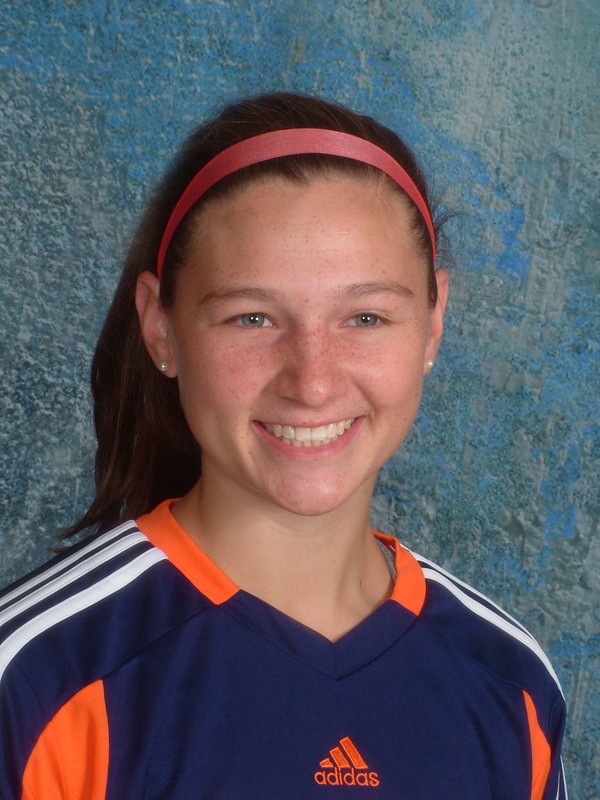 Soccer player Mallory Beswick, having just completed her freshman year at Hope, sat amongst a crowd of older Hope student-athletes and experienced community leaders at the 2015 Willow Creek Global Leadership Summit and felt a simultaneous wave of gratitude and nerves. 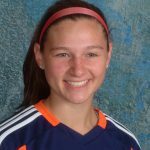 There she was, all of a 19-year-old and a mostly substitute player, being asked by pastoral giant and author Bill Hybels to consider why she loves to do what she does, why she believes like she believes. 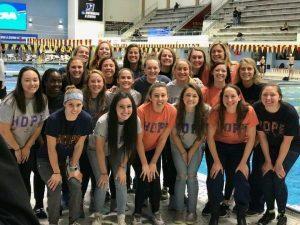 It seemed daunting to consider but her resulting epiphany spoke volumes, not only about herself but also about the ways the Hope College athletic department seeks to provide its student-athletes with transformative experiences and competitive excellence. 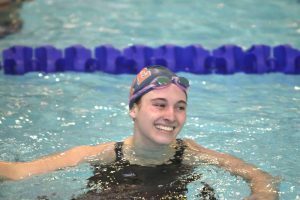 Looking back now on those words and that experience, Beswick’s sentiments have not changed but she does see with greater clarity the profound opportunity she was given by her Coach Leigh Sears and the entire Hope athletic department to attend the summit. The lessons she learned were brought back to impact her team, yes, but they also enlightened her calling to become a physician’s assistant one day, too. Beswisk sincerely hopes that leadership training can be afforded to other Hope student-athletes for years to come. By making a gift to the Orange and Blue Fund, you ensure that more Hope student-athletes, eager to be difference makers, Lord lovers, and committed athletes like Mallory Beswick, have future opportunities to reflect and lead, play and compete for transformational experiences. Your gift supports leadership training, culture development, service opportunities and more. Make your gift today at crowdfunding.hope.edu/athletics.